The NATO-led Trident Juncture 2018 (TRJE18) exercise that is to be held in October and November is the largest coordinated show of force since the Cold War. It will primarily be hosted by Norway. The training event will largely take place in the central and eastern parts of this Nordic country that neighbors Russia, as well as over the skies and in the seas of Sweden and Finland. The maritime component will be conducted in the surrounding areas of the North Atlantic and in the Baltic Sea. TRJE18-related activities will take place as far away as Iceland. Russia has been invited to send observers to watch the exercise. The drill will involve 45,000 participants from over 30 nations, including 10,000 rolling or tracked vehicles, 150 aircraft, and 60 ships. The main goal is to test the ability of NATO’s new Response Force to rapidly deploy. Norway will evaluate its ability to receive and handle reinforcements sent by its allies. There are 700 US Marines stationed in Norway. That’s not a huge force, but as Adm. James Foggo, who heads all US naval forces in Europe and Africa and commands the Allied Joint Force Command in Naples put it, “that’s 300 Marines today. 3,000 Marines tomorrow.” The American pre-positioned forward storage sites in Norway, a complex of caves, have been upgraded to store weapons and equipment for roughly 15,000 Marines. That Scandinavian country has become the source of a threat to Russia’s national security. The Harry S. Truman Carrier Strike Group is also taking part. The aircraft carrier returned to its home base in Norfolk in July following a three-month deployment. It was back in Europe in mid-September. Normally, US carrier groups operate according to a standard seven-month cycle. Now they are being shifted to “dynamic force employment” in order to improve flexibility. Finland will contribute significantly to this exercise that is based on a simulated Article 5 scenario, with its troops operating in their home region, in Sweden and Norway. It will also lead and host the naval exercise Northern Coasts 18 (NOCO18) in the Baltic Sea, which is linked to Trident Juncture. Finland is sending about 2,000 troops to TRJE18. The size of that force is comparable to the contributions made by leading NATO members. For example, Germany is sending 4,000 troops, the UK — 3,500 troops, France – 3,000, Canada — 2,000, Denmark — 1,000, Italy — 1,500, Spain — 1,000, and the Netherlands — 1,500. The US contribution will be 12,000 soldiers, and the primary host is sending 6,500 servicemen. There were only about 160 Finnish troops participating in the last Trident Juncture held in 2015. Three years ago, the drill was held in southern, not northern Europe. Sweden, another non-NATO active participant, is sending about 2,200 troops, along with four Gripen fighters that will be based in Norway. Before the TRJE kicks off, US, Swedish, and Finnish forces will conduct their own exercises in Sweden. Both Finland and Sweden participate in NATO’s Response Force. 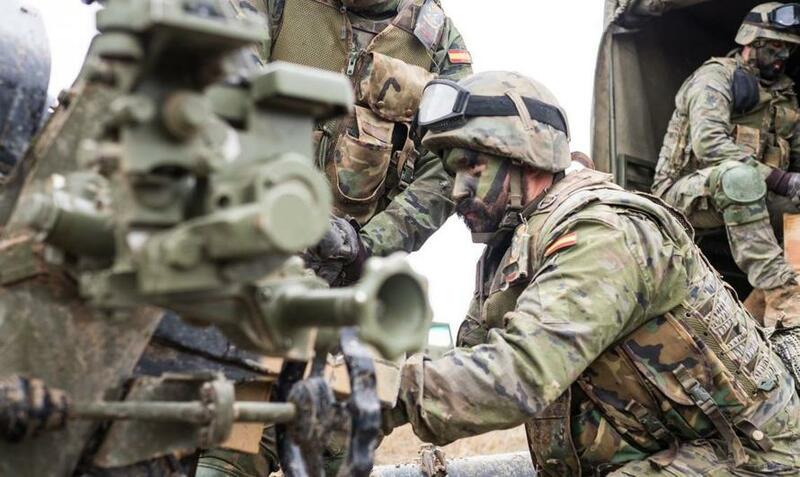 There is a backstory to the Trident Juncture 2018 exercise. In early October, US Envoy to NATO Kay Bailey Hutchinson said Russia had been put on “short notice,” due to its alleged violations of the 1987 Intermediate Nuclear Forces Treaty. She warned that the US might "take out the missiles" before they could be deployed if Russia did not back down. This year, NATO has already coordinated approximately 100 exercises, 20% more than during the same period in 2017. Poland will invite NATO members and partners for another large-scale, officially “national” exercise, Anaconda 2018, which will be held at roughly the same time as some smaller NATO drills, such as Citadel Bonus-18, Iron Wolf-18, and Baltic Host-18. The hidden aim of the exercises is to keep those forces ready to close in on Russia’s borders. That’s why the alliance is creating this “military Schengen zone,” in an effort to minimize the time needed for troop deployment. Anaconda 18 will be a cover for the deployment of a US Army brigade in Europe, in addition to the deployment of the US 2nd Armored Brigade Combat Team. Next month, we’ll see an entire US mechanized division in operation in the Old World. Four NATO multinational battalion-size groups are already stationed in the Baltic states and Poland. These never-ending exercises adjacent to Russia’s borders show that the terrorist threat has been forgotten. The North Atlantic alliance is too busy preparing for a large-scale invasion by Russia to even think about it. American strategists appear to have a short memory. It was not Russia who attacked the United States on 9/11. A different type of exercise would be needed to fend off a terrorist threat, but time, money, and efforts are being spent on war preparations against Moscow, which is fighting against the very same Islamic fundamentalists who threaten the West. Last month, Russia held a very large-scale training event dubbed Vostok 2018, but it was held in Russia’s Far East region so as not to provoke NATO, although that alliance did not seem to appreciate this thoughtful gesture.